Innovation and being unique is the right thing in making your cryptocurrency or Blockchain technology a success. Elastos is definitely doing this and that should explain why they have become the best option for the crypto asset investors. What makes it the best and what it does? Let us find out. Innovative at its best. That is precisely what we would call Elastos. In fact, it is an attempt at minimising or doing away the weaknesses of the internet as served through the Blockchain Technology. Well, there are options for consuming the internet through the use of Blockchain technology. But, they tend to suffer from an inherent weakness in the Ethereum based Blockchain. 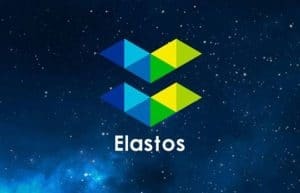 Elastos attempts to and succeeds in removing these limitations. The technology makes it easy for the crypto enthusiasts to enjoy the internet applications through mobile devices. Elastos is set to bring the Blockchain technology based internet to the mobile devices near you. This is achieved by means of Elastos Runtime. The Decentralised apps, also referred to as DApps will run on the Elastos Runtime and make it possible running these applications virtually on any platform. The Elastos Runtime should work on any platform including Android, iOS and PC. The issues and limitations on the Blockchain technology based on Ethereum are taken care of on Elastos and offers you a full-fledged internet experience sans the malware or hacking. What Does Elastos Ecosystem Consist of? Current state of Blockchain technology does let you record the secure transactions with respect to the property rights you have at your access, it does not have way to monetise the content. Elastos creates an environment wherein all the digital content will move through the Elastos Smart Web. The Elastos Smart Web works through the smart contracts. In fact, the requests received on the Elastos Smart Web are never directed through the internet, but are accessed through the Elastos Carrier. This will be helpful in a perfect monitoring against hacking and other malicious attempts like data breaching. The ecosystem makes the digital assets scarce and scalable. The improved tradability of the asset is made easy. You would be able to incentivise the all the users on the network and thus the ecosystem can be made further popular. The free Blockchain will not be accessible to third parties. Writing code for the Elastos Carrier should be quite easy as it supports traditional programming techniques. There is no chance of digital assets being leaked as they are separated from the system. The Platform has set out on its journey to create a smart economy. In fact, the emphasis on the digital assets and their ownership is what would make Elastos a force to reckon with. Over 18 years of research that the team has indulged in shows itself in the way the product has been developed. Want to invest in Elastos? Well, we would recommend you to.